Introduction to Ancient Egyptian Sports! Ancient Egyptian sports was a very interesting thing of the earlier years. There was much variety in the choices just like today. In fact, many of the sports played back then are still played today, over 4,000 years later! Some of the sports played were archery, baseball, swimming, boating, hockey, hunting, and more! From kids playing with their friends to adults running in marathons for an important crowd, everyone of the ancient Egyptian times enjoyed to play sports. 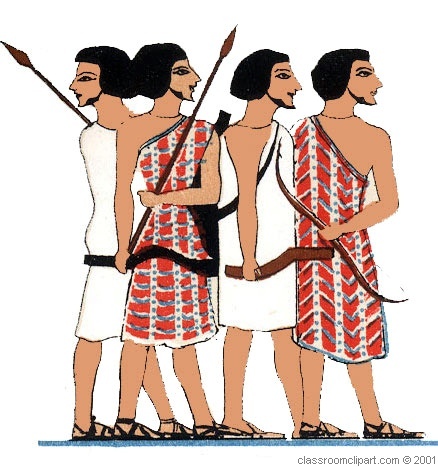 Archery was a very popular sport of the ancient times in Egypt. It was often played by royal, rich people, or entertainers of the pharaoh. Archery in ancient Egypt is much like it is today. The pharaoh would watch his royal entertainers while he was drinking his wine. Entertainers were very important for people like the pharaoh in ancient times. The pharaoh was a ruler of his land and while he had "free time," he would invite some of his royal friends over, and have a archery show preformed by his entertainers. Archery was not often played by the poor because it required much equipment, and poor people often couldn't afford it. In addition, archery would not be played for metals or any prizes, for only pharaohs entertainers and royal people would play. This was not held in an "Egyptian Olympics" (a series of games that the Egyptians would play from time to time) because it was not a rewarded game therefore not many people wanted to play it. Hunting was a very necessary thing of the ancient Egyptians. Hunting was not for entertainment purposes but for food and clothes. Ancient Egyptian hunters hunted many animals such as a leopard's, porcupine's, hyena's, elephant's, ibex's, gazelle's, antelope's, fish, deer and many species of birds. Men in the family would hunt and bring home meat for their families. In addition, animals such as a leopard would be skinned and used as a coat for a wealthy family. Poor people could hunt for their families and give sell the skins to rich families or sell it to the pharaoh. The pharaoh could give a man money or employment for giving skins to the pharaoh. A man would hunt a porcupine for its quills, for it was very good for writing utensils. Elephant's are hunted for their tusks because they are made out of ivory. The other animals were hunted for skins, meat and feathers. Baseball was another sport that the ancient Egyptians practiced. Instead of a fancy baseball field, like in Yankee Stadium, they just played on a field made of dirt. 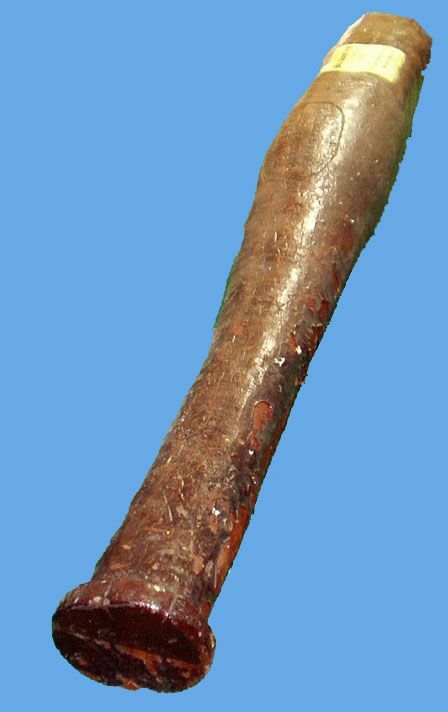 The ancient Egyptians would carve their baseball bats out of the wood of palm trees. Baseball was very popular in the time of ancient Egypt. Unlike archery, it was not only for entertainment purposes. The pharaoh did enjoy watching it, but that was not the only reason it was played. Baseball back in the ancient times was much like today, the people watching are certainly entertained but the players benefited just as much! 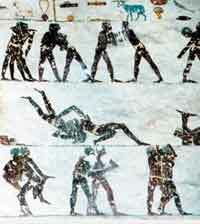 Hockey was often played in ancient Egypt. Just like baseball, there was no ice rink or special grass field for hockey in ancient Egypt. They just played on dirt in the excruciating hot desert. Their sticks were carved out of trees. Hockey was not for entertainment purposes at all. It was not even a sport that they would play in the "Egyptian Olympics." Not must knowledge was found on this topic. 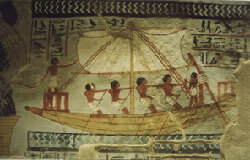 Even though the land of Egypt was a very dry place, they did own the largest river in the world, the Nile. The Nile is about 4,000 miles long and is Egypt's main water source. Not only do they bath, fish, and wash clothing in it, but they hold their boating and swimming contests also. The people in the contests would make a boat out of logs or wood from trees, and have a jousting contest. People would have contests for fun with friends or compete against other countries for a trade of food or treasure. The dangers of of these boating contests were that there were often crocidiles or other un-safe creatures living in the Nile. A man could be eaten alive from such a ferocious creature. The Nile was not the only place that swimmers could practice their skills, there were pools for exclusive princes so they could practice too.